Sebuah gambaran personal tentang seorang pekerja pendatang di Jönköping, Sweden. A personal portrait of a guestworker in Jönköping, Sweden. 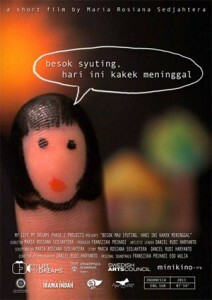 Sebuah Dokumenter pendek tentang Allis, seorang remaja perempuan yang memiliki cita-cita menjadi seorang aktris. Tomorrow, Ana will be filming a movie, suddenly came a news that Ana’s grandfather passed away and she must leave with her family to Purwokerto to attend the funeral. Dony bermimpi menjadi SUPERHERO, namun sayangnya pada waktu dan tempat yang tidak tepat. 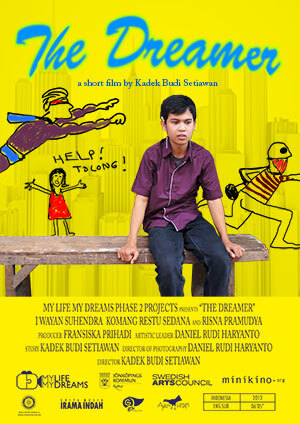 Dony’s dream of becoming SUPERHERO, unfortunately at the wrong place and time. Kamar Gita seringkali berantakan dan ada beberapa tamu tidak diundang mengganggu ketenteraman seluruh keluarga Gita, bahkan lebih fatal lagi. Gita’s room is always messy and there were some uninvited guests who come to disturb the whole family, furthermore even worst than that. Ketika Suster Ngesot menemukan cara untuk mengatasi cacat fisiknya, ia harus berlomba dengan Pocong yang juga memiliki keinginan yang sama. When Suster Ngesot find a way to overcome her physical disability, he must compete with Pocong who also has the same desire. Made dan Wayan harus segera menemui boss, tapi mereka terjebak macet lalu lintas kota Denpasar. 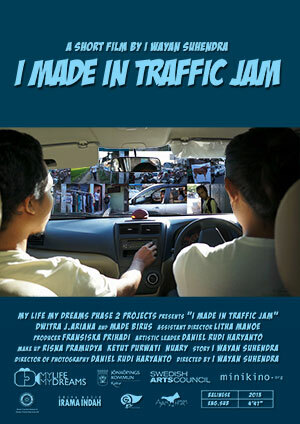 Made and Wayan should immediately meet the boss, but they stuck in traffic jam of Denpasar. Hasil final dari kolaborasi ini. Kisah tentang kehidupan dan mimpi remaja dari dua kota terpisah oleh benua dan samudera lebih dari 11.000 kilometer jauhnya. The final result of the collaboration. Story of the lives and dreams of youths from two cities separated by continents and oceans spanning over 11,000 kilometres in distance. 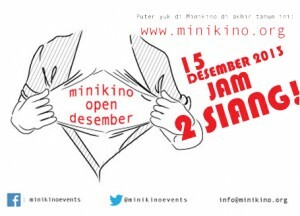 My Life My Dreams was initiated by Kultur Jönköpings kommun (Sweden) and Minikino (Indonesia). The objective is to initiate a collaboration that gives rise to an understanding between youths in Jönköping, Sweden and Denpasar, Indonesia, through the process of filmmaking. The project was carried through in 3 phases: competition, workshop and co-production. 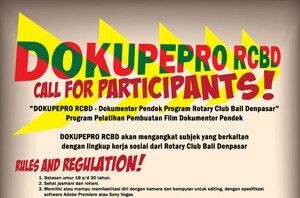 Phase 1; 1 Jul – 10 Aug 2013 was an online competition of 1-minute films for youths in Jönköping, Sweden, and Denpasar, Indonesia. The makers of 10 most popular films were then interviewed by Artistic Leaders from the two collaborating organisations (Daniel Johansson for Kultur Jönköpings kommun and Daniel Rudi Haryanto for Minikino). 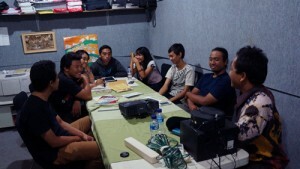 Resulting from this interview, 4 youths from Jönköping and 5 youths from Denpasar were selected to join the next phase. These 9 selected participants are Erik Gannsjö, Karolina Thollander, Max Timje, and William Merkell from Jönköping, and Maria Rosiana Sedjahtera, Sigit Widyantoro, Komang Restu Sedana, Kadek Budi Setiawan, and I Wayan Suhendra from Denpasar. Phase 2; 24 Aug – 21 Sep 2013 was a series of filmmaking workshops. 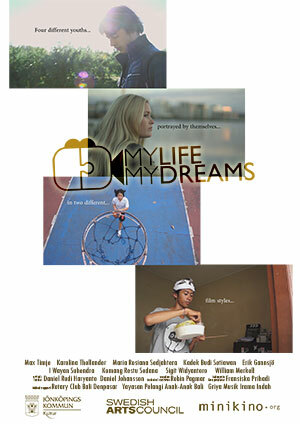 The Artistic Leaders in Jönköping and Denpasar facilitated the 9 selected participants to develop a film in their own choices of genre, following the project’s theme: their life, their dreams. Through documentary and fiction short films, the 9 participants express their personal views of everyday life through their own creative perspectives. 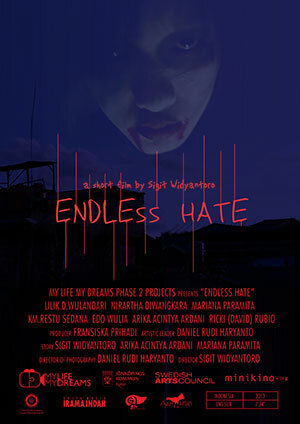 Phase 3; 24 Sep 2013 – 24 Nov 2013 was the short film co-production. 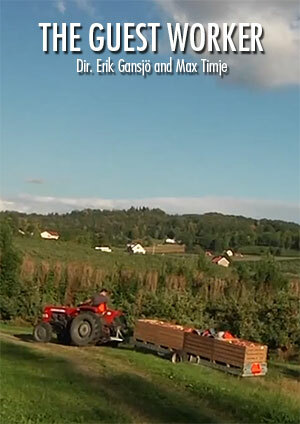 The selected participants from Jönköping and Denpasar collaborated in making a short documentary film. Connecting through the internet, the young filmmakers of these 2 cities separated by continents and oceans spanning over 11,000 kilometres in distance communicate their points of views on a better future, for a better world that they want to create together.